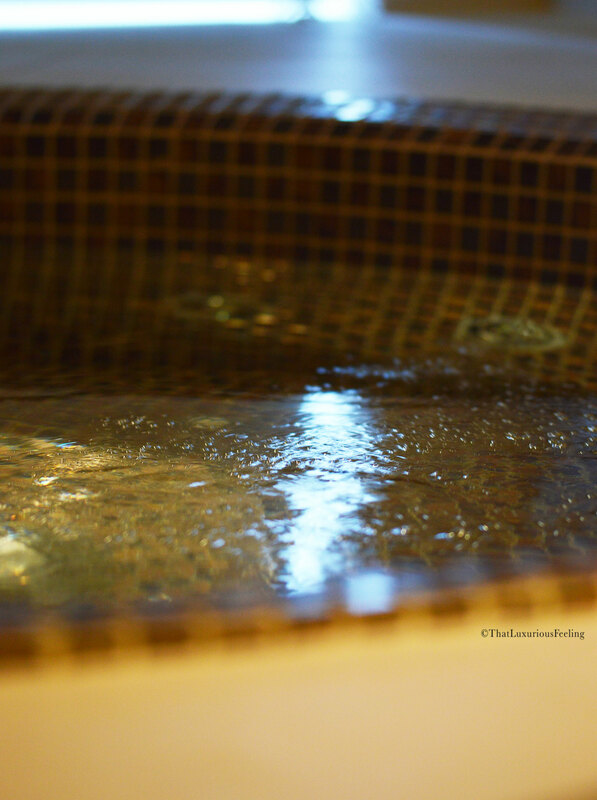 When I started doing SPA reviews, at first I assumed that the brand, therapist’s knowledge, the facilities and over all treatment itself would be the main reasons as to why I would like or even dislike a certain SPA. Now, some years in the making I’ve come to realize that things are not that “simple”. What ultimately makes a good SPA visit count, begin within myself. It took me a while to understand that my own mindset, my feeling of the day, stress-level or maybe even my own expectations on the upcoming treatment would lay the ground for how successful my experience were to be. 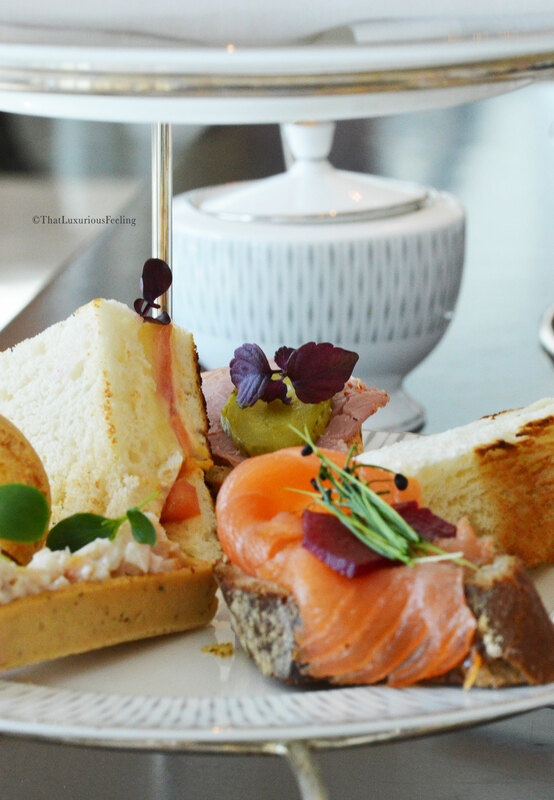 A fabulous review starts within me and this is why my recent visit to Waldorf Astoria SPA Dubai turned out to be spectacular. I’m giving it away up front because there’s no point hiding it: I’ve had the treatment I needed and deserved and I’m returning ASAP for my next appointment! When NEOM Organics approached me I felt that it was completely suitable for the site. I’ve liked the products and known about the brand for a while, following their success and opening of the Wimbledon Flagship Store in London and come to know the brand as something much more than what first meet the eye. This is not about cute candles or decorative diffusers. This is more. And I want more. Naturally, when I learnt that Waldorf Astoria SPA carried the NEOM range but also the NEOM Treatments my interest peaked! I was gracefully invited to the SPA to try the Happiness Treatment; which turned out to be much more relevant than I would imagine. You see, its no secret: its been quite a rough year for me. I won’t go into any details but it is safe to say that balance, happiness and positive energy has been lacking. We have been waiting and wanting to make changes to those parts of our life that we felt we can control. When I scheduled my Happiness Treatment I purposely picked a date where I thought I would have reached a more balanced state of mind. I wanted to attend the SPA with positive energy and this is key. I believe that I went into the session already feeling excited, curious, happy (because we had just moved into our new home) and open minded about the experience. Mind and body was ready for the treatment and this is, in my opinion, why it ended up being such a mind blowing treatment. In a city with tons of SPA options it is hard to stand out from the crowd. WA SPA miraculously manage to do so and I think the first reason is the space. Not location itself (the five star hotel is nestled at the very end of Palm Jumeirah, our artificial and enormous island shaped like a palm and drizzled with luxury hotels and mansions). No I’m talking about the space, the atmosphere. The entire spa is drenched in light. Natural daylight reaches in as the facilities are set around a private garden where they grow herbs such as mint, basil and lemongrass – for their own infused water. What I immediately fell for was the endless, curved corridors with floor to ceiling natural daylight, the clean and paired down decoration (my Swedish soul can’t take too much ornaments and bling-bling) and the privacy. The spa seem to be nested in its own little corner of the world where only light, positive energy and calmness is allowed. 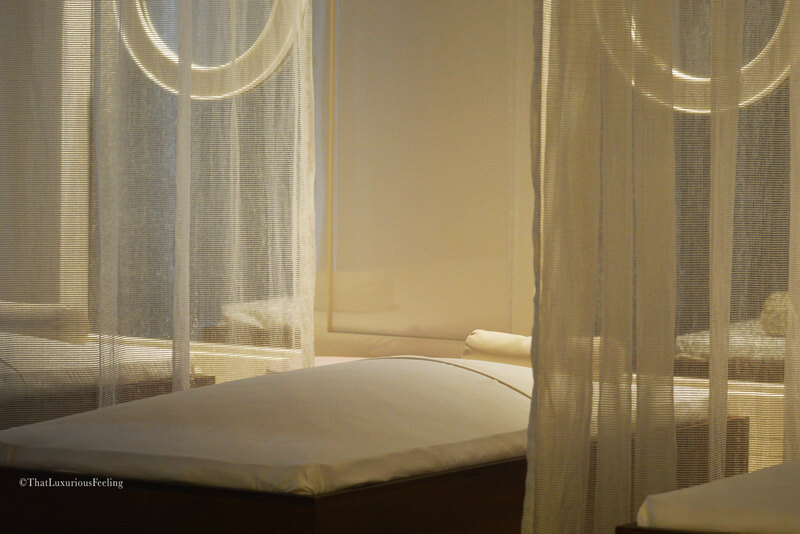 The spa caters for both male and female guests with its 14 treatment rooms where two of them are super luxurious VIP Suits with private steam rooms, saunas, color therapy bath tubs and experience showers. 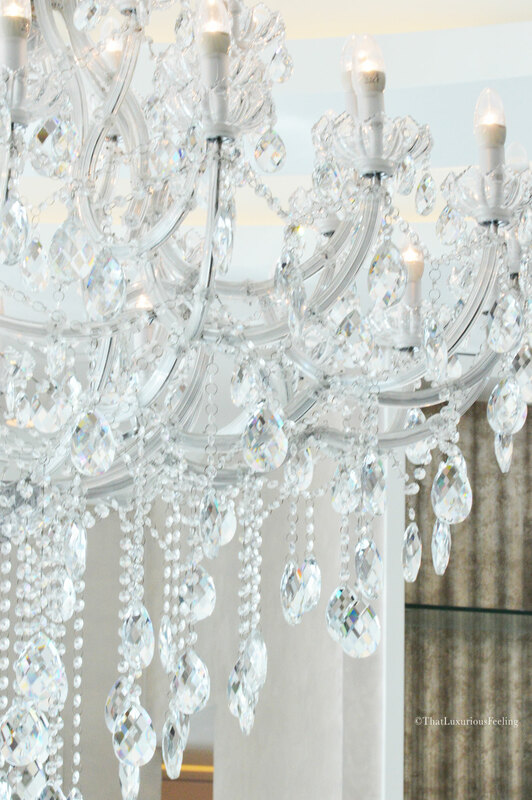 If you opt for a regular room, the experience is equally enchanting. In the ladies facility area I found salt stone saunas, steam rooms and the exciting herbal sauna as well as relaxation areas. At the reception area I was treated to a cold beverage while my therapist for the day, Jennifer, guided me as I filled in the consultation form. She paid attention to my wishes; sometimes in Dubai there can be a language barrier that makes it difficult to express if you have certain needs but with Jennifer I felt safe, knowing that she would be careful and respectful not to massage on any critical areas. Before I went in, I knew what the NEOM Happiness Range smelt like (I own the candles) but I didn’t know what to expect of the treatment. NEOM, based in the power of Aromatherapy, has five different ranges for different needs. Even though we knew what treatment was already booked for me, I still got to do the “blind test” of smelling the five different candles to see which one of the aromas I would connect with. As it so happened I landed on the Happiness candle all by myself, which lead me to believe that I’m right: it all starts within yourself and what your body and mind needs for the day. Beautiful facilities and skilled therapists aside; this is the bottom line. The female changing area made me instantly feel calm and relaxed. 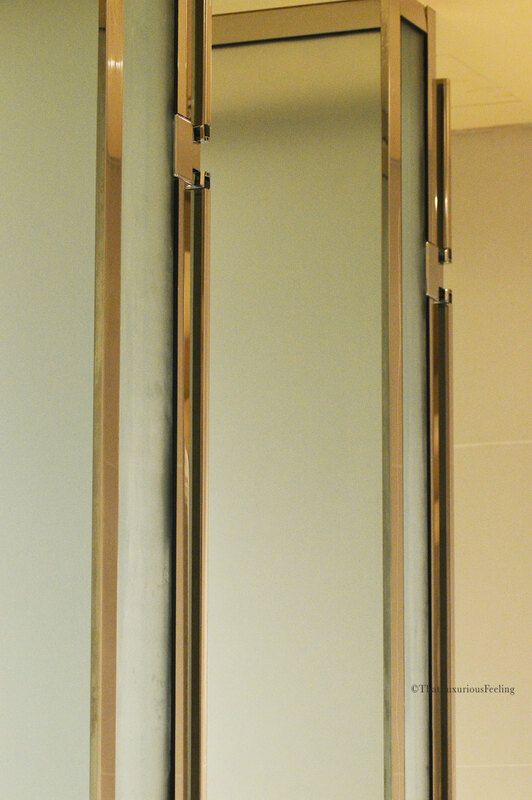 I have a thing for high, frosted glass doors and clean amenities. 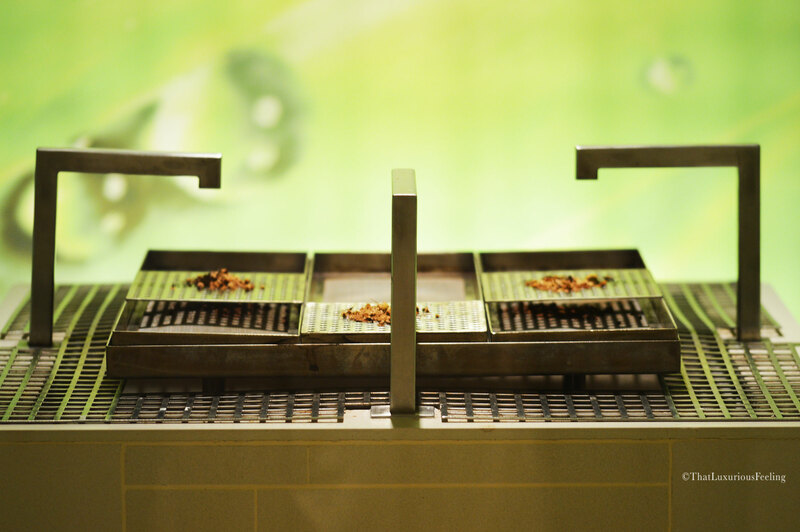 The entire design of the spa feels new and fresh – balanced and international rather than arabic. I would imagine it pleases all the international guests that come for the WA brand. The entire hotel is exquisite. Whenever I visit hotels or restaurants I always search for the small details and find a lot of pleasure in seeing some of the brand I work with displayed at the scene. 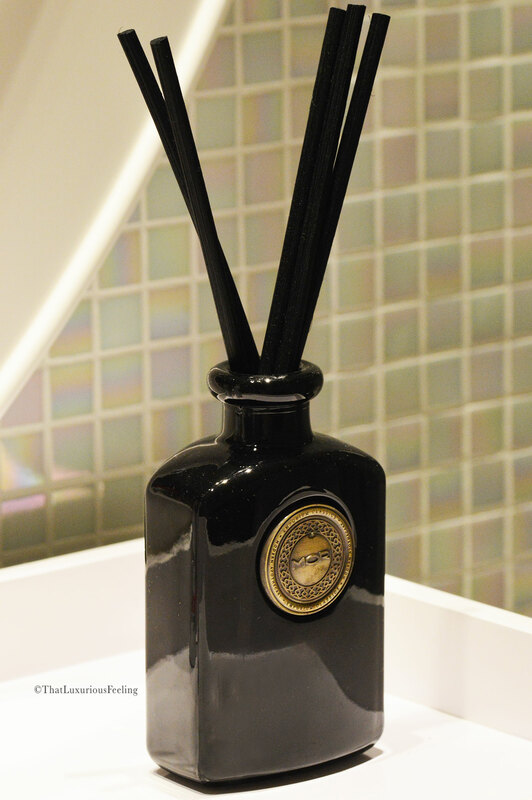 In the spa changing area there were some MOR Australia diffusers on the vanity table. I enjoy the brand a lot, it was lovely to see it in a suitable setting. I shall be completely honest with you: even though the wonderful pool and steam room area made for fantastic pictures I never ended up using them. You see, still after all these spa visits I’ve never quite understood how and when? Maybe I’m a complete moron here but as I had changed into my disposable underwear and was all wrapped in the spa’s lush bathrobe on my way to the treatment it felt completely weird to enter the pool! And due to health reasons I’m not allowed to sit and brew in the sauna either. So there you have it. Jennifer was patiently waiting for me to take some pictures before we went straight for the treatment room. Now, what on earth is a Happiness Treatment? I’ll walk you through it. 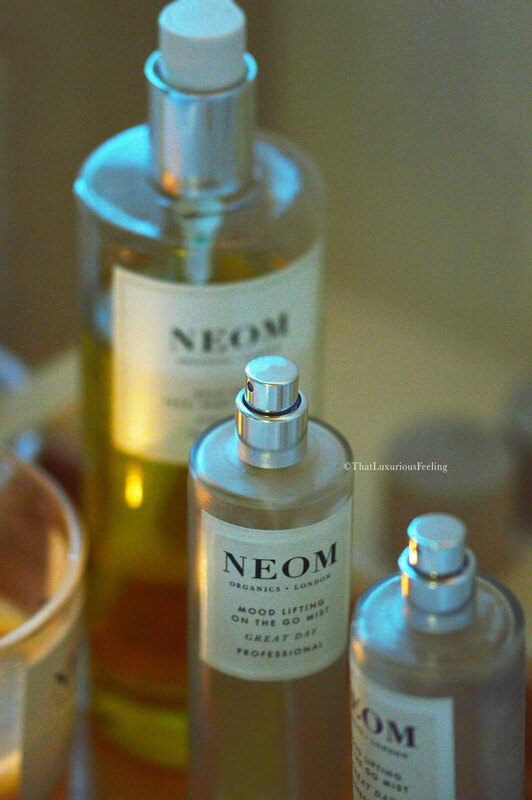 NEOM stands for “luxury with a purpose”. While the products are all natural and organic, they still hold true wellbeing benefits. In a holistic approach, NEOMs different lines aim to shift the energy of how you feel, breath, work and live your life. Health for body, mind and soul might sound like a cliché, but actually it is a work in progress and something you have to be dedicated to in order to achieve results. Reading their own brand presentation, I got to learn that every day, the average person is exposed to 250 chemicals and by year 2020, the top 4 diseases will be stress related. The brand says they believe that what we leave out is as important as what we put in. This goes for ingredients as well as negative and positive energy. The Happiness treatment (and all other NEOM treatments) touches the body as well as your mind. This is what I found intriguing. You see. I’m not a yoga-lover, I don’t do pilates and sadly, I’m not good at meditation either. My mind never rest and it is my greatest strength and my ultimate weakness. I get stressed and unhappy simply by the way my own brain “harasses me”. It is a struggle and to finally finding a treatment that works for me was such a relief! There is a well documented connection between happy people and a healthy lifestyle. It is important to emphasise that a healthy lifestyle doesn’t always show on the outside. It is not your body size or the amount of acne, for example, who will indicate if you are living a healthy life. For myself though, I can vouch for the fact that I sleep better and feel hunger at a normal schedule over the day if I’m happy. This is why I wanted to see what the Happiness treatment could do for me. NEOM has a dedicated sleep treatment as well as a de-stress one, but they don’t work for me due to the amount of lavender in the products. I’ve found that the Happiness range improves my sleep and make me wake up happy and content with life. 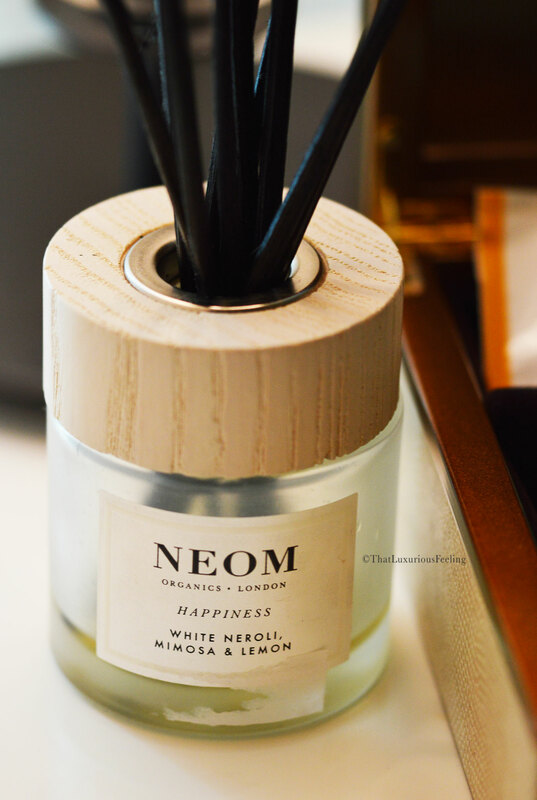 The NEOM Happiness scent is a beautiful blend of pure essential oils mixed together to lift your mood, balance your emotions and shed unnecessary worries. With the most clear and invigorating, sparkling scent built up of French white Mimosa blooms, Neroli and Sicilian Lemon the mix draws inspiration as a mood enhancer from similar blends used already back at the 17th century. 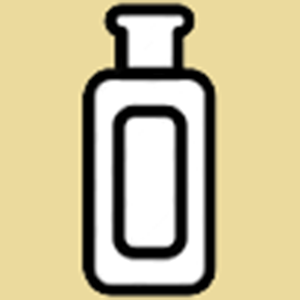 The blend also contains some green notes and uplifting Peppermint oil which truly reveals itself during treatment. 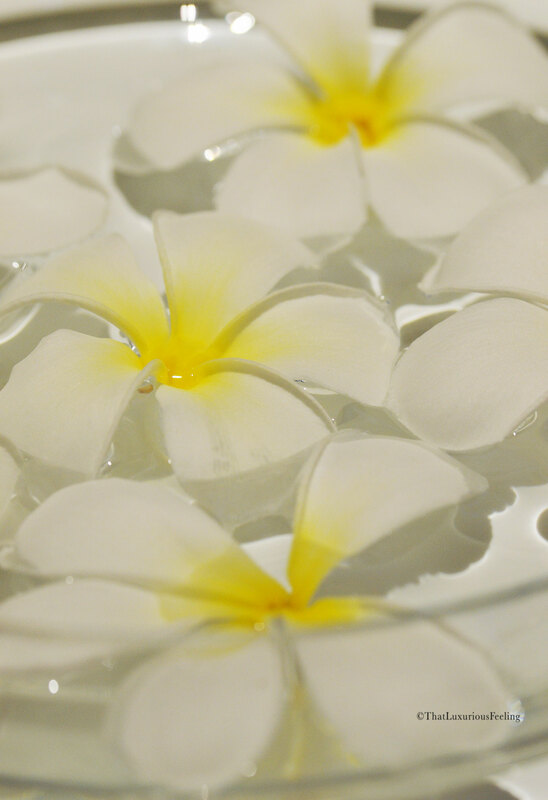 What is unique with a NEOM treatment is how it combines elements of meditation, reflexology, breathing exercises, shiatsu, cranio and trigger point massages with the power of aromatherapy. It is not your regular body massage. As WA SPA only uses the finest beds in both relaxation areas and treatment rooms, I was amazed to find myself laying on a heated bed. I doesn’t sound like much, but actually I believe this made the entire difference of how I would experience and be open to the treatment. Heath creates extra relaxation to the muscles and the aromas becomes more noticeable on warm skin! Jennifer started the session by having me listen to a recorded voice with some light guided meditation and breathing exercises. As said I’ve never been able to meditate by myself, but the voice and instructions where clear and simple; nothing too advanced and I found myself laying there, engaging in the breathing exercise and slowly notice how my body allowed me to take deeper and deeper breaths, filling my lungs with the calming air scented by burning Happiness candles and room mists. Jennifer started to find pressure points under my feet and then worked her way all across my body. I will admit I can’t even remember in what order she did the massage and trigger point treatment, as a succumbed to my calm state of happiness and sleep. A huge part of this specific treatment is the Happiness body scrub. The scrub, made of organic sugar, safflower and jojoba oil and scented with the Happiness blend was suddenly rubbed into my skin with huge, circular moves to get the blood going and the lymphatic system to activate. This is when I woke up! I can’t “sugar coat it” (no pun intended) but the scrub really works on your skin, to the point where it almost hurts! I’m not overly sensitive but certain areas of my skin truly reacted during the scrubbing massage. It was this kind of hurtful -in -a -good -way sensation and Jennifer took her time to make sure that I was thoroughly covered in sugar and oils. With many years in the industry I could sense that she really liked her job because her movements in the room and with her hands became as one with the soft music; she was quiet and efficient with a natural flow when it came to shift towels or expose new areas without disrupting the rhythm or making me feel any cold air. After the scrubbing was done I got to stand up and walk into the beautiful adjoining shower to rinse all the product off and change to dry disposable underwear. THIS is when the magic kicked in. There are no words to describe how my skin and body felt as I pat myself dry. I thought the skin would be sensitive and scratched from the scrub but instead it was unbelievably soft and glistering! All dullness completely gone and cellulites seemed smaller. The skin felt tight and at the same time almost elastic, if that even makes sense?! Walking out to once again lay down on the heated bed to continue my treatment, I know I was smiling like a crazy person. As Jennifer started with her massage I found myself giggling. She thought that she was tickling me, but the reality of it was that I just felt happy and kind of stupid at the same time, because I had no idea I could be affected by the treatment in such an instant matter. All in her hands, I laid there thinking about the last month and everything positive that had happened. I felt almost drunk, in that silly happy moment of joy and pampering. Jennifer made me comfortable in the relaxation area used post treatments. 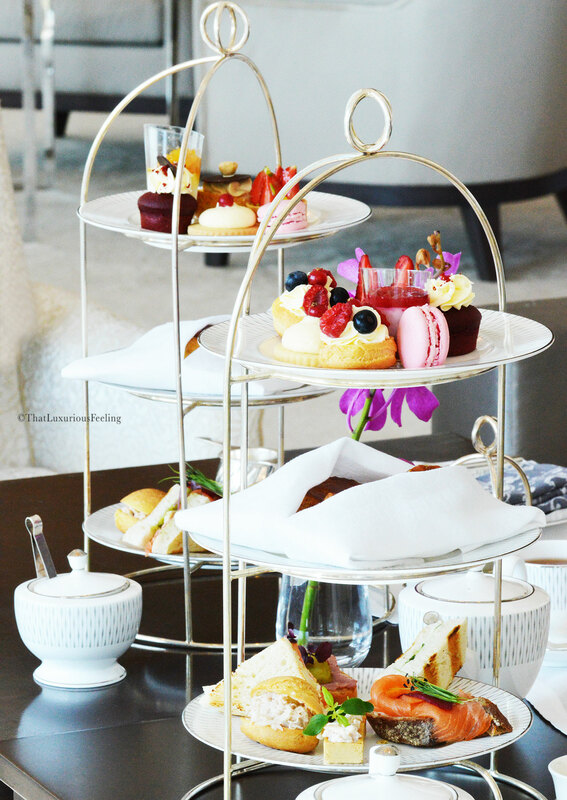 I had my own divan to lounge on while she poured me tea and served me a full tray of white chocolate coated strawberries. 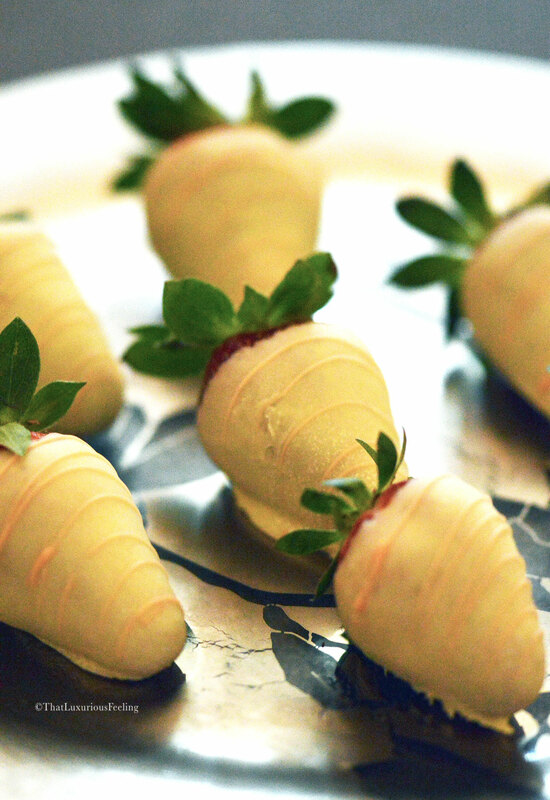 I’m crazy about strawberries and the notion that chocolate and endorphins is a good match once again proved to be true. After the treatment I found myself thirsty and even though being served both cold beverages and tea, I felt that the strawberries seemed to give me more instant hydration. It was the perfect end to a mind- blowingly good experience. With all of the nourishing oils and scents on my skin, I didn’t want to shower it off. 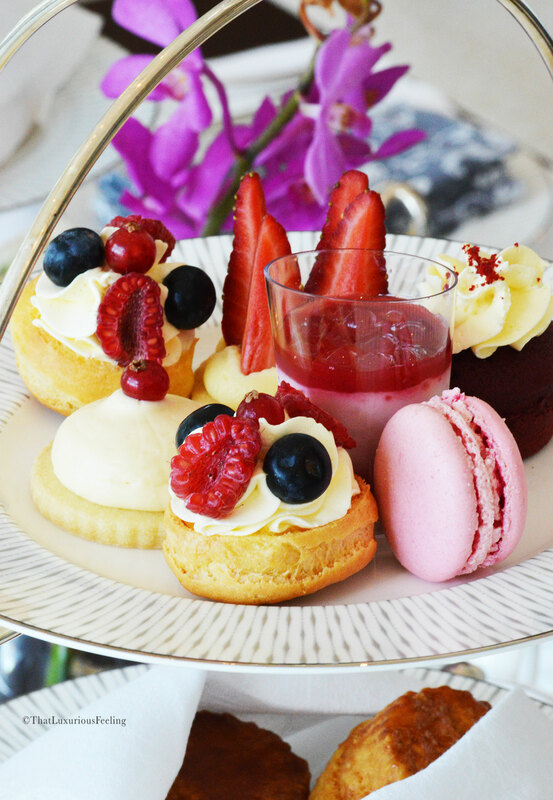 I got dressed and met up with SPA Manager Carolina who had graciously invited me to the famous WA Afternoon Tea. As the hotel is well known for always knowing their guests I was impressed to learn that all of my food allergies had been taken into consideration. 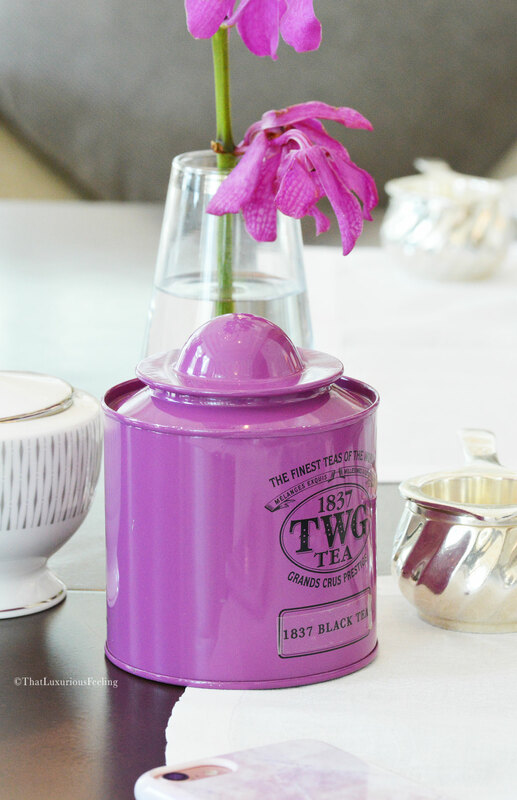 My favourite tea brand was offered in an array of flavours and I opted for the TWG 1837 Black Tea, especially made for the hotel! Exactly like with Jennifer, Carolina took her time with me to really understand what I had to say about the spa and experience. This is unique: not once during the day at WA did I feel rushed or timed by any clock. It was a true pleasure to be able to discuss the spa industry, products and ingredients, therapists, the power of aromatherapy and meditation and get full presentations on all the other dedicated brands of the spa. Tea has never tasted so delicious and I felt like the best version of myself! Imagine what a treatment can do, right? For my next visit I’ll be bringing two of my favourite people in the entire world, because yes; I’ll be back real soon again. Count on it. As I left the hotel I was watching the sun starting to set over the ocean. I hadn’t realised that I’d spent five hours pampering myself! I think that it must be the spectacular light that runs in the spa and the hotel itself which makes you instantly relaxed and awake. Before I left, I was kindly gifted a product by the NEOM Happiness range and I believe it deserves its own review. 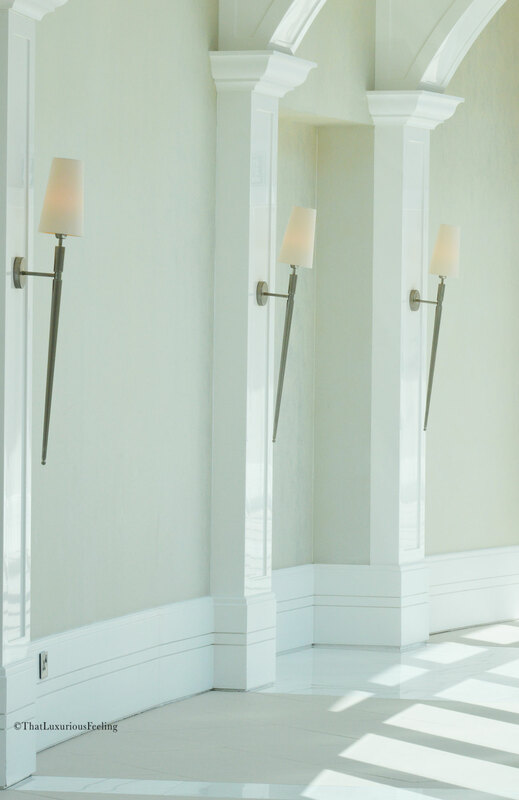 I warmly recommend you all to visit Waldorf Astoria Dubai. Remember that if you don’t have time for a spa treatment, you can still shop amazing products a the spa from brands such as NEOM, Omorovicza, Magaret Dabbs, Aromatherapy Associates and MOR, just to name a few! Treatment offered for review consideration. Thank you to Waldorf Astoria and NEOM Organics. Oh Maria, it sounds surreal! I already feel relaxed and full of positivity just by reading you! I absolutely love the neroli scent! Thank you so much for sharing this magical moment with us!